Rates for home-borrowing going into the week of May 15 have been riding the momentum from the previous Friday, moving slowly higher than previous weeks. Much is being made of retail sales reports, signaling that Americans have more discretionary funds to their names, which in turn may translate into more property sales over time. This is welcome news as rates continue to peter and dip versus moving closer to the 4 percent mark. Instead, the 30-year fixed bellweather metric now clings to the 3.625 percent mark going into the week. That said, it is an average, and deals at lower interest costs can still be found. For those who like to do trend analyses, the week’s current rate level could be interpreted as a new floor versus previous months year-to-year. Versus 2012, the current 3.625 percent market is the high point average of 2012, according to some market watchers. Other aspects to keep an eye on include how the federal government will interpret the latest labor figures. It is becoming more and more apparent that the policy-setting teams are conflict in which direction to take next, i.e. whether to continue economic assistance or to now finally back off and let the economy fly on its own into recovery. In terms of overall rate performance, the 30-year mortgage rate average, as noted above, now ranged from the rare 3.5 percent to the more common 3.625 percent, while the 15-year counterpart inches upwards as well to a tighter range of 2.75 percent to 2.875 percent. 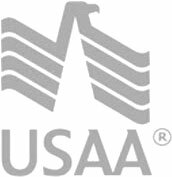 The FHA/Veteran’s Administration loan rate remains the one bastion of “unchanged” in the mix, locked in at 3.25 percent. Finally, the 5-year adjustable rate mortgage average spans 2.625 to 3.25 percent.